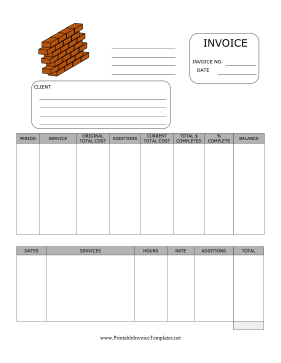 This printable invoice has two categories for contract progress and parts. Users can chart cost, additions, changes, and percentage complete. It is available in PDF, DOC, or XLS (spreadsheet) format.